Ray Bradley is no ordinary academic. Born into a deeply religious family, his childhood was consumed with religion, yet his path was far from set. By his late teens he had all but abandoned his Christian faith, diving into philosophy, where he took his first steps to becoming ... read full description below. Ray Bradley is no ordinary academic. Born into a deeply religious family, his childhood was consumed with religion, yet his path was far from set. By his late teens he had all but abandoned his Christian faith, diving into philosophy, where he took his first steps to becoming a highly regarded academic and philosopher. A career that would see him chair philosophy departments, winning hearts and minds of students all over the world. But this is far from a simple story of academic success. 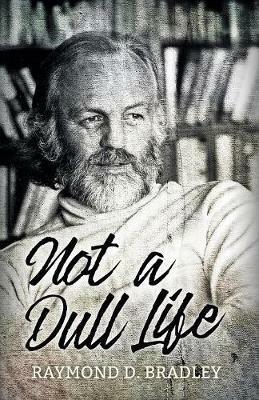 By his late seventies Bradley had won over thirty gold medals in international ski racing, including three FIS World Championships, discussed foreign relations with the Canadian Prime Minister, built a unique cabin in the wilderness, bought, learned to fly and then crashed a sea plane, all while leading a prominent academic career that included the publication of a number of books around philosophy and logic. Being one of New Zealand's leading living academics is one thing. To be Ray Bradley is quite another. In his own words, it's not been a dull life.